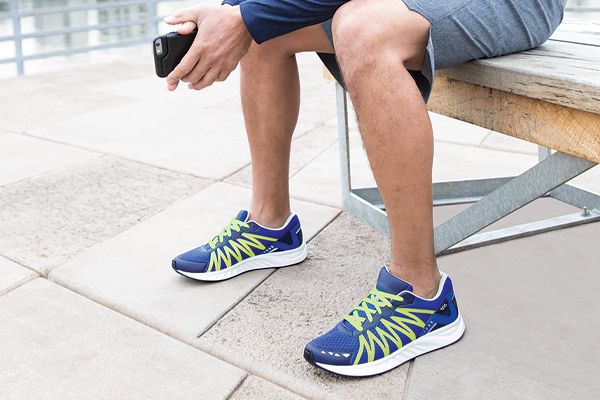 Mesh and TPU Upper: 3D Spacer Mesh provides comfort and breathability to overall shoe. TPU material reduces overall weight of shoe. Strike Force Footbed: 100% Polyether Polyurethane with heel cup support is low Density, light weight, long lasting and provides good shock absorption. Has Anti-Microbial treatment for odor resistance in fabric top cover. Ultra-Lite® Midsole: This low density Ultra-Lite® Polyurethane is lightweight, shock absorbing, and long lasting. Meramax® Outsole: This lightweight polyurethane is highly durable, flexible and shock absorbing.